Recipe for Fitness: Champion Performance Recipe of the Week - Taco Bake! 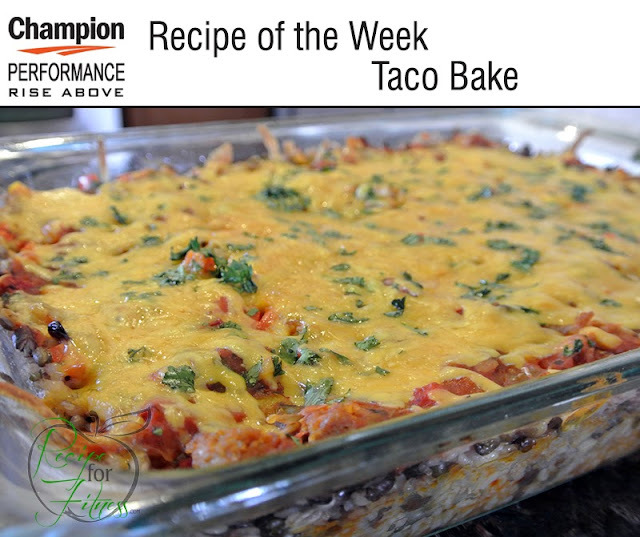 Champion Performance Recipe of the Week - Taco Bake! YES! You can have cheesy taco casserole and still stay on plan with your goals! This clean eating casserole is a fiber powerhouse, and full of muscle building protein and energy boosting carbs. Oh - and it tastes AMAZING!!! Serve after baking, or slice it up (after cooling) and store in individual portion sizes for quick and clean meals. NOTE: Sushi Rice - Some manufacturers actually label this as Sushi rice and you can find it typically in a container on the top shelf. You can also use Calrose or Jasmine. These will result in the "sticky" rice you need to make this recipe. Brown rice will not work. The high glycemic white rice is ideal for a post-workout/training refuel. Cook rice/bean mixture per directions (I use a rice cooker on the white-rice setting). Rice/beans should be sticky, not fluffy. Spread rice/bean mixture across bottom and halfway up the sides. 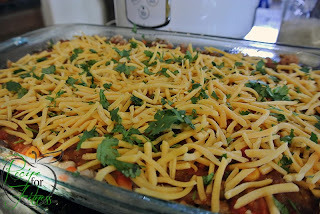 Spread mashed black beans over the bottom layer. Sprinkle with half the cheddar. Sprinkle with diced pepper and olives. 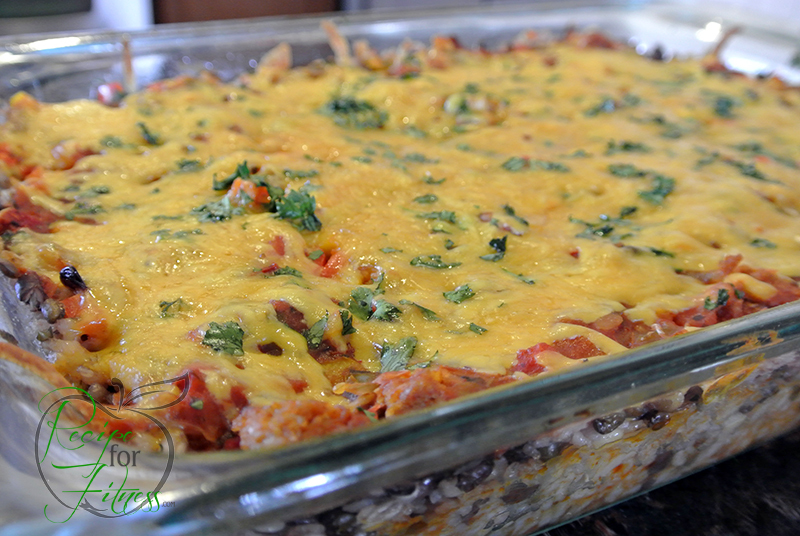 Top with remaining cheese, then sprinkle on the cilantro. Cover with foil and bake 20 minutes. Remove foil and bake an additional 10 minutes. Serve or allow to cool and slice into 12 servings, wrapping each with saran wrap (or other wrap of choice), and store for later. Per Serving: 233 calories, 20 grams protein, 26 grams carbs, 4 grams fat, 5 grams fiber, 208 mg sodium.